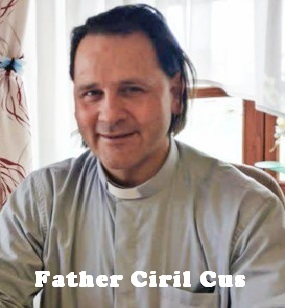 Ciril Čuš, who grew up during the ’60s in Žetale, a small Slovenian parish on the border of Croatia, comes from a traditional Catholic family with two brothers and a sister. But there was nothing traditional about his childhood, his abusive father who nearly beat him to death, and his long journey down the path to forgiveness. Ciril’s father worked as a builder and one day took a fall from 16 feet, spending a month in a coma. After the accident, he wasn’t the same. He started drinking, becoming very aggressive — and young Ciril was often the target. Between the ages of 7 and 10, Ciril’s head was fractured with a blunt object 14 times. When his father was sober, he was a wonderful man; he taught his children a lot. But when he was drunk, he wasn’t safe to be around. Ciril had to escape through the window several times and spent many nights in the barn. He was afraid to sleep because he had terrible nightmares. He had learning difficulties and barely finished school. When he was 10, he contemplated suicide. At 12, he took a job picking produce so he could get away from home and pay for his education. At 14, he wanted to run away from home but felt he had nowhere to go. The abuse and distance from his father led Ciril to take up karate in school. Determined to prove himself — and protect himself — he won the national Slovenian kickboxing championship and became a kung fu coach. Convinced by a neighbor to accompany him to a Sunday church service, Ciril was revulsed by what he saw as the antics of the charismatic worshippers and he decided never to enter a church again. But his friend convinced him to try it a second time and that was when he heard a woman speaking about her husband who beat her and cheated on her, but she was still able to forgive him. In order to be able to forgive, a priest suggested that Ciril pray so he prayed a Rosary for his father every day and even made a solemn promise to God that he would pray until he could forgive his father. After a year and a half he realized that prayer alone was not enough, that he had to go to his father and tell him he forgave him. Although he was somehow able to generate the courage to go meet with his father, there was no mutual forgiveness but from that point on Ciril prayed two rosaries a day instead of one. After three years of praying, Ciril approached his father again. He apologized for everything he had done wrong. He told him that he was his only father and he loved him very much. In response, his father grabbed a knife and shouted, “I will kill you like a pig!” Ciril escaped while his father ran to the garage to get a chain saw. 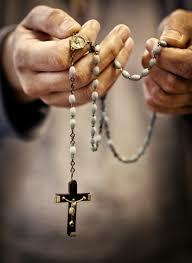 Ciril’s response: he began praying three rosaries a day instead of two. Nine months and more than 800 rosaries later, Ciril learned that his father was suffering from cirrhosis of the liver, coughing up blood and that his doctors told him he only had a month to live. Determined to forgive him before his father died, Ciril approached him once again. From that moment on, Ciril’s father stopped drinking and peace returned to the family. For the first time ever, Ciril saw his father embrace his mother and heard him tell his brothers and his sister that he loved them. His father lived another 16 years. ”Once I forgave, I was happy, joyful. This real encounter with God is more powerful than any hatred, curse, suffering or distress,” says Ciril. He never stopped praying, either. Today he is a parish priest in a small Slovenian town. Ciril now says he realizes that he had to walk his path of suffering to be able to understand and help people who go through similar experiences. His life bears a powerful witness. He travels a lot around the world, witnessing about his experience of forgiveness. Aleteia (aleteia.org) is an online publication distributed in eight languages (English, French, Portuguese, Spanish, Italian, Arabic, Polish and Slovenian). Its website “offers a Christian vision of the world by providing general and religious content that is free from ideological influences.” With more than 430,000 subscribers to its newsletter and more than 3 million fans on Facebook, Aleteia reaches more than 11 million unique visitors a month. Forgiveness News, Forgiveness News, Newsadolescents, Anger, Barriers to Forgiveness, break free from the past, Children, family, father-son relationships, forgive, forgiveness, forgiveness journey, Forgiveness Process, Forgiving, hurtful event, Perseverance, pray the rosary, reconciliation, resentment, rosary, Slovenia, Why Forgive?